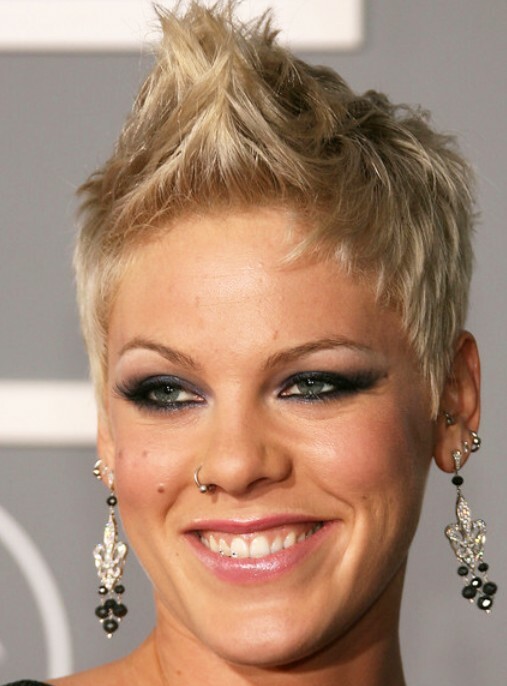 Pink showed off her rock-star glamour at the Grammy Awards. She sported her signature fauxhawk, I love this haircut so much. If you want to try a new stylish short haircut this summer, why not try this one? This fauxhawk hair style is good for Round, Oval, Heart, and Triangular face shapes.